Step one for the new Middle School in Granite Falls NC – burn down the house (or at least get the local fire department to help out). 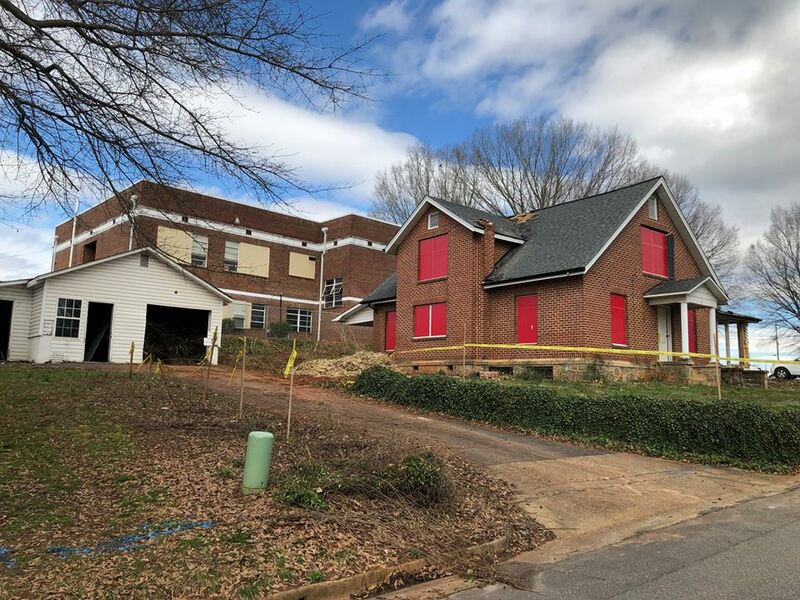 Although this home will be lost – when completed this $27 m project will remove several newer buildings – but will reconstruct the 1935 former High School into a knowledge commons & technitorium for 700 middle-schoolers. 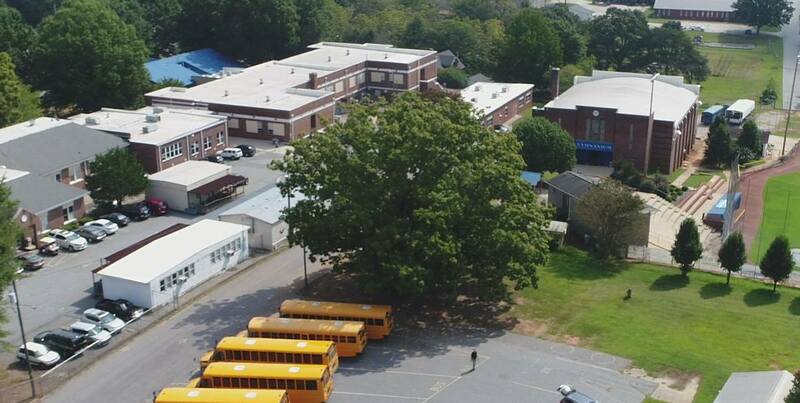 And that is not the only senior citizen to make the cut on this site – after some struggle we were also able to reconfigure the new building to save a native white oak tree identified by the arborist as dating from 1750 or earlier as the focal point for the new main entrance!